LOS ANGELES, Jan. 8, 2018 /PRNewswire/ -- Quest Nutrition kick-offs 2018 with Brock O'Hurn and Sarah Stage as they introduce a new line of Quest Protein Cookies. Each soft & chewy cookie is packed with 15 grams of protein, 9 grams of fiber, and less than 3 grams of sugar and are available in four popular flavors: Chocolate Chip, Peanut Butter, Double Chocolate Chip, and Oatmeal Raisin. 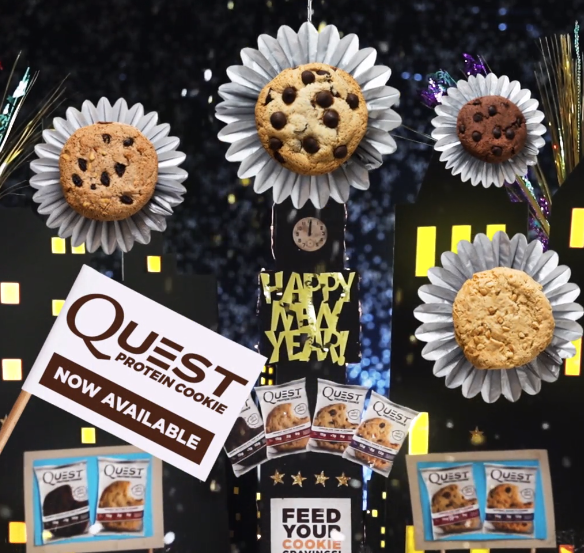 "Quest Nutrition is on a mission to make the foods you crave work for you, not against you, and our new Quest Protein Cookies truly deliver on that promise," states Chief Marketing Officer Suzanne Ginestro. "Now Quest fans can treat themselves year-round, without derailing New Year resolutions." 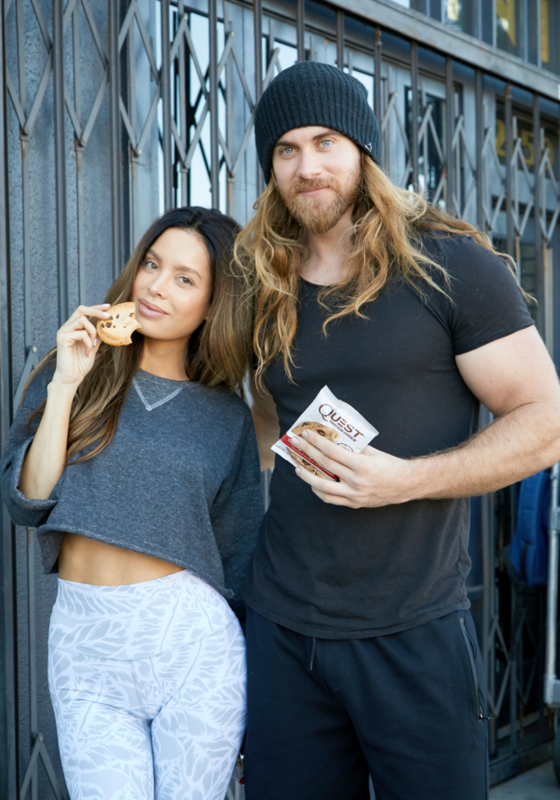 "We are thrilled to partner with Brock O'Hurn and Sarah Stage for the Quest Cookie launch, as they both continuously inspire others and truly embody the Quest ethos," continues Ginestro. Well-known for their fitness lifestyles, rising actor Brock O'Hurn ("Boo! A Madea Halloween") and model Sarah Stage found the Quest Protein Cookie a convenient and tasty alternative to other protein formats. The Quest Protein Cookie delivers a soft and chewy baked goods texture that satisfies the anytime sweet-tooth cravings, without compromising on taste. "I've always been a fan of Quest Nutrition and when I heard they were coming out with Quest Protein Cookies I knew I had to be a part of the launch," enthused O'Hurn. "It's really unbelievable, I get to work out and eat cookies!" Stage concurs, "Being a mom on the go, it's hard to always get to the gym, so I try to eat as healthy as possible. Working with Quest was such a blast, not only because it's a great brand but I'm a huge fan of their new Quest Protein Cookies! They're delicious, and with Chocolate Chip and Oatmeal as my favorites, they have become my go-to when I'm out and about."